Gentium is a typeface family designed to enable the diverse ethnic groups around the world who use the Latin, Cyrillic and Greek scripts to produce readable, high-quality publications. 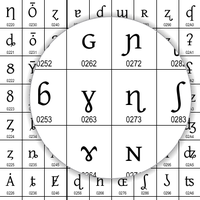 It supports a wide range of Latin- and Cyrillic-based alphabets. Gentium was a winner of the TDC2003 Type Design Competition and was exhibited as part of the bukva:raz! exhibit at the UN Headquarters Main Lobby, 17 Jan - 13 Feb, 2002. Read more about its design. Gentium is a typeface family designed to enable the diverse ethnic groups around the world who use the Latin, Cyrillic and Greek scripts to produce readable, high-quality publications. Read about our smart font features. The Latin and Cyrillic scripts are used to write thousands of languages around the world. Gentium Plus provides comprehensive support for these writing systems, and includes a wide range of additional characters and symbols useful for linguistics and literacy work. Gentium Plus also supports the Greek script. Read more about our character set support. This font is based on the original Gentium design, but with an expanded character and glyph repertoire. It currently comes with regular and italic faces. It comes with near-complete support for Latin, Cyrillic and Greek. It also contains 'smart font' support for OpenType and Graphite technologies. This allows for correct diacritic placement over all base characters, whether they are tall, short, wide, narrow, with or without descenders. It also provides for a large variety of alternates glyphs. 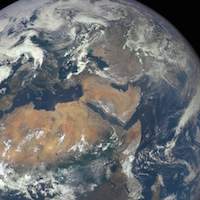 See complete Gentium - FAQ list. 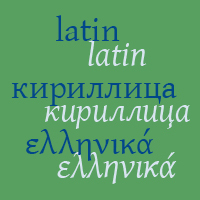 See complete Latin, Cyrillic, and Greek Fonts - FAQ list.